Texas Sage is a subshrub perennial in warmer climates and an annual where winter temperatures stay below freezing for more than a few hours at a time. Texas sage reaches 2-3 ft tall, with 1-2 in triangular leaves on long stalks opposite each other on a square stem. The showy flowers are bright red, about an inch long, and arranged in loose whorls along upright stem. There are several cultivars, including pink ones, white ones and bicolored ones. 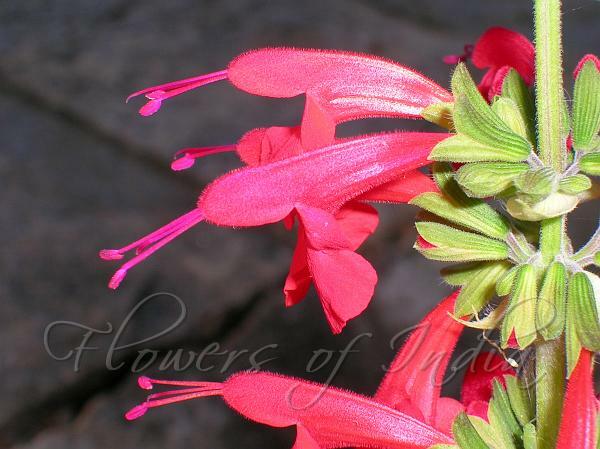 This species can be confused with the more popular garden plant, Salvia splendens. Texas sage occurs naturally in dry soils and waste places from South Carolina to Florida and west to Texas and Central America, and in the West Indies. 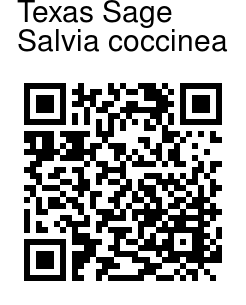 It is used as a garden plant in India. Identification credit: Amit Kumar Photographed in Sundar Nursery, Delhi.